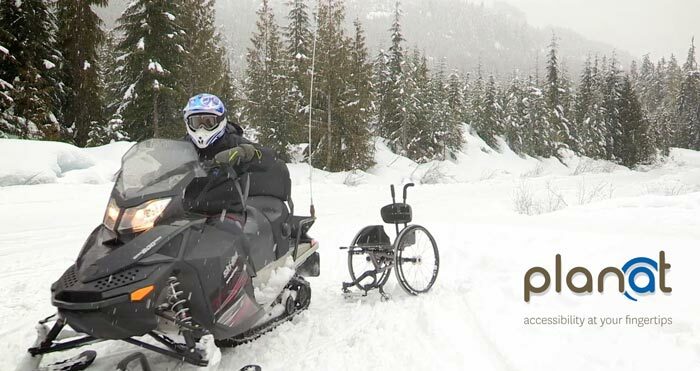 Join Matt and Karim on a Whistler adventures as they check out accessibility and go for a snowmobiling tour! planat is an online tool that allows you to post and search reviews on the accessibility of the places where you eat, shop, work and play. Your detailed reviews make a difference in the lives of others. The tool is based on a five-point rating system, similar to consumer reviews found on travel websites and is focused on accessibility features from a mobility, sight, and hearing perspective. Matt Thola sledding away from his chair during planat video shoot. It was inspiring for Chris Wheeler Media to produce this planat video in Whistler and to film Matt rippin’ on a snowmobile for the first time since his accident. Hello! Someone in my Myspace group shared this site with us so I came to give it a look. I’m definitely enjoying the information. I’m bookmarking and will be tweeting this to my followers! Great blog and amazing design and style.